From the outside, it looks like your average non Japanese owned/operated sushi joint. The type I avoid. You know, the ones that don’t have a single Japanese soul, evident from the design of their menu to cookie cutter decor. In fact, the first time StalkerBoy suggested taking me (after gushing about his great lunch) I was semi offended! (Seriously). Luckily, he found a way to persuade me (probably with alcohol). To this day, whenever I close my eyes and go mmmm over a piece of oily tongue alluring sushi at Yasaka, he interrupts my moment and reminds me who found this gem in the first place. (Yes, I was forced to put this in writing). I’m not sure if the place is in fact Japanese owned, but their head sushi chef is. On any given night, you’ll see him chatting with his Japanese customers. I just watch and smile. Sometimes I get a freebie or two. Bar seats are always more fun. 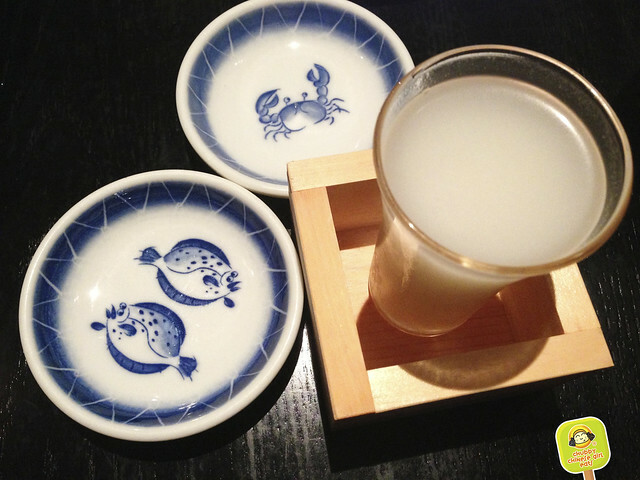 I’m an unfiltered sake kind of girl. Their “snow mountain” Nigori, is rich, velvety and sweet. For appetizer, the tempuras are done quite well. Fresh ingredients, crunchy exterior. After Japan, tempura will never be the same again. But for NY standards, this is good. 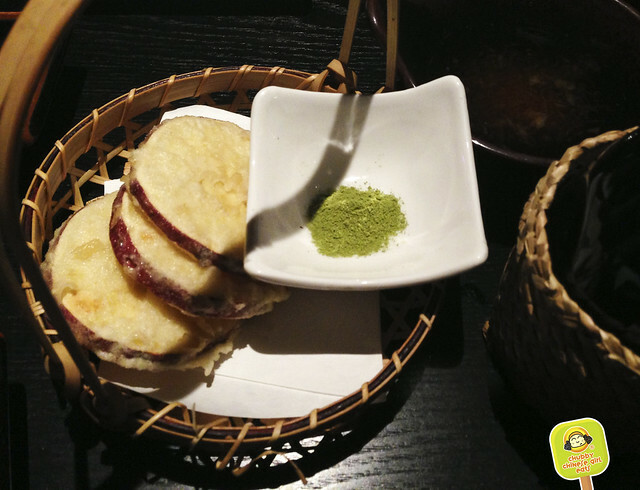 I enjoy the fresh crunch of lotus root and that sweetness from the root vegetables, but the most memorable was the fig tempura, maybe it was in season, but I never had fig fried. I guess it proved once again that anything fried is delish. 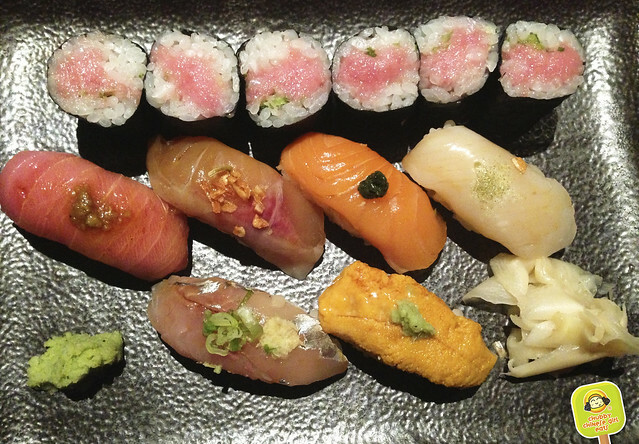 Regular Omakase is $45 – 12 piece and a roll. You really get the bang for your buck here. 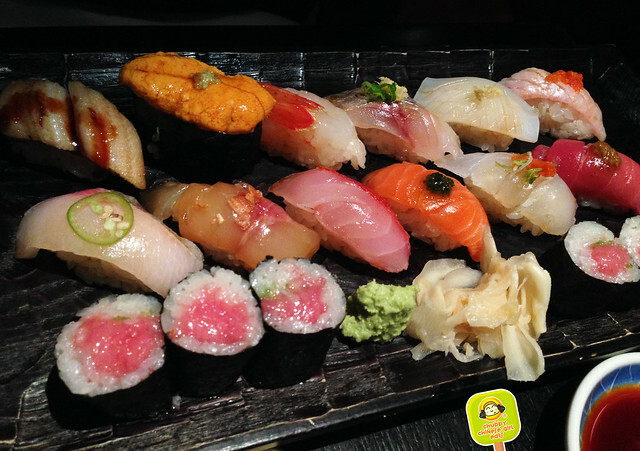 The assortment always comes with good uni, ebi, tuna, squid or scallop which are my absolute favs. Plus, a mix, each dressed ever so slightly with the likes of citrus jalepeno, ginger scallion, soy garlic chips and so on. Carefully paired by the chef to enhance the uniqueness of each fish in flavor and texture. Some melt in your mouth with pops of crunch, others oozing with umami and burst with a splash of the ocean and a spicy kick. 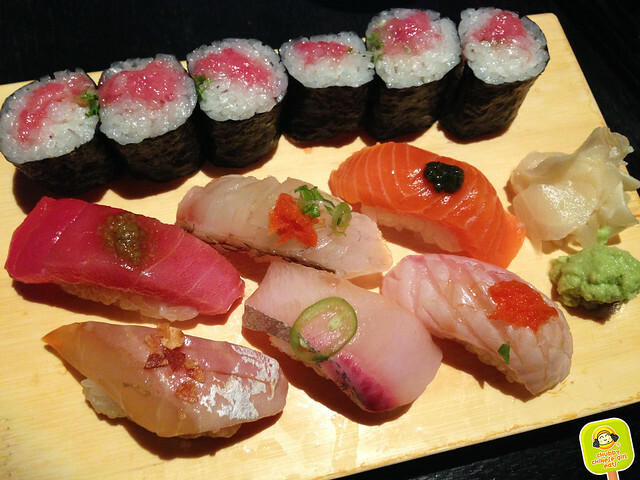 The fish variety varies, though nothing exotic, it’s always fresh. My only complaint is their seaweed. Though the tuna and scallion roll has great flavor, their seaweed lacks flavor and that crispiness, which brings down an otherwise superb roll down to mediocre levels. It’s like someone with a great body who doesn’t know how to dress. 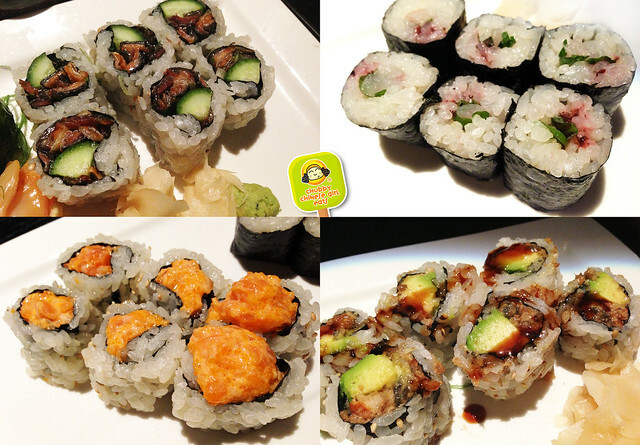 Mini Omakase is $24 – 6 piece and a roll. The mini is a great alternative for a light dinner or in addition to. I’ve actually never had a mini sushi omakase anywhere else. As you can see from the photo above and below, some days you get uni and something like a hara-shimo (less red with a good amount of fat)! Score! Regardless, it’s a flavorful deal. 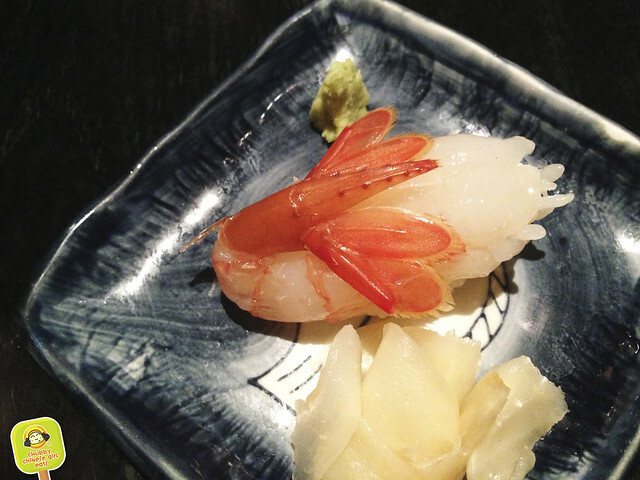 I love ebi for it’s sweet, meaty and bouncy texture. If you are sitting at the bar, he will most likely deep fry the head for you. Love that. The rolls here are decent if you overlook the seaweed. I wouldn’t call them spectacular, but they do the job. One of my favorite is their sweet potato tempura roll. I secretly grade a place by their salmon skin roll. The best being Sushi of Gari and so far none has come close. Yasaka’s version lacked crispiness, but price point wise, it isn’t a fair comparison. 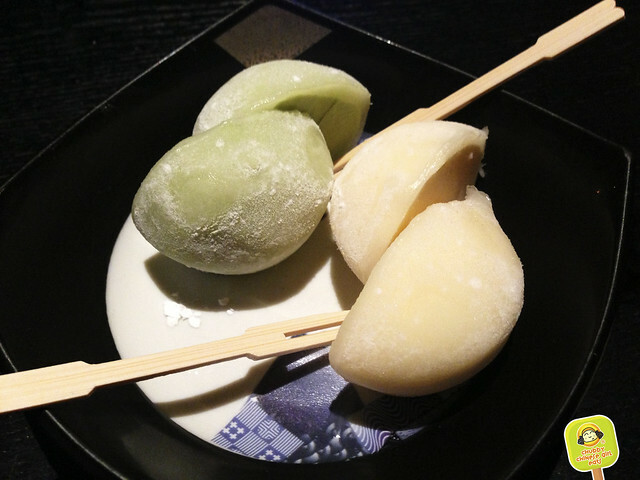 There’s no better ending than mochi ice cream. A perfect union of chewy mochi with a creamy cold center. Small enough to share. 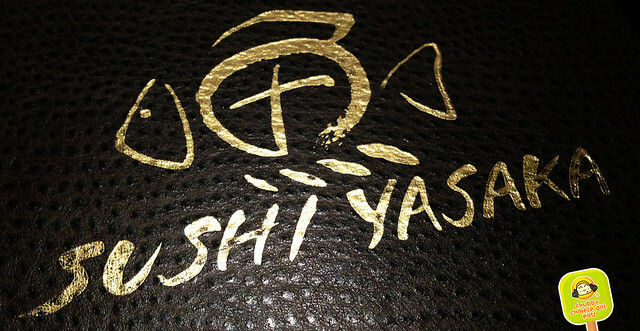 High-end sushi dinners can’t be an every week ordeal (at least not for my bank account), which is why Yasaka is the perfect place for gorging satisfying my insatiable sushi cravings. I’ve come to the conclusion that you have an endless bank account!